US Ambassador Ted Osius and Senior Lieutenant General Nguyen Chí Vinh, the deputy minister of Defence, announced yesterday the successful treatment of dioxin-contaminated soil at Da Nang International Airport under a project managed by the US Agency for International Development (USAID) and the Ministry of National Defence. Deputy Prime Minister Vũ Đức Đam attended the event. Scientific sampling of the approximately 45,000 cubic metres of treated soil established that it is well within the treatment goal. At the event to announce the successful completion of the first phase, treated land and soil from the project site was formally accepted by the Government. The Airport Corporation of Việt Nam will use the land to construct a new taxiway and plane parking area to support the Đà Nẵng International Airport expansion planned in preparation for the 2017 Asia-Pacific Economic Cooperation (APEC) meeting. 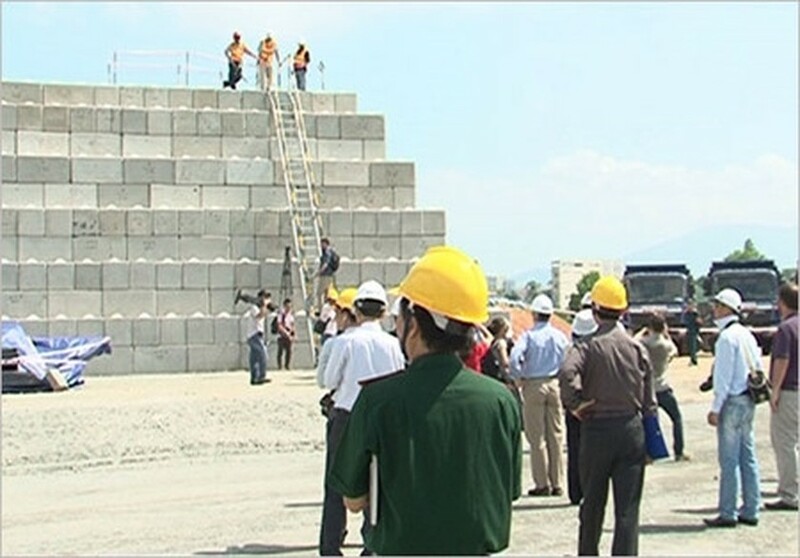 The US and Việt Nam launched the project to address dioxin contamination at the airport in 2012. Treatment of the first phase of contaminated soil was initiated in 2014 with an event attended by a US congressional delegation led by Senator Patrick Leahy; Senior Lieutenant General Nguyễn Chí Vịnh, Việt Nam’s deputy minister of National Defence; and other senior US and Vietnamese officials. The announcement reflects the strength of co-operation over the course of the project. The second and final phase, which will start later this year, will treat approximately 45,000 cubic metres of contaminated soil and sediment. Using an In-Pile Thermal Desorption (IPTD) system, batches of contaminated soil and sediment are placed in a container and heated to a temperature of 335 degrees Celsius, which destroys 95 per cent of dioxin contamination. The soil is later removed from the container and tested for traces of contaminants before being put back. Đà Nẵng’s former US air base has high levels of dioxin contamination. Biên Hoà in the southwestern province of Đồng Nai is another hotspot.